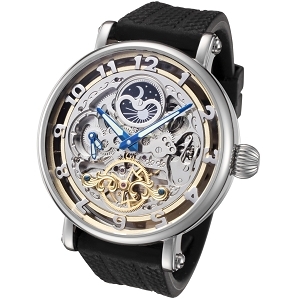 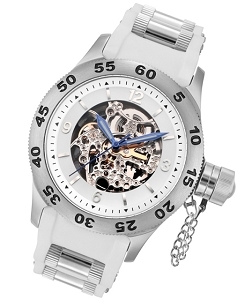 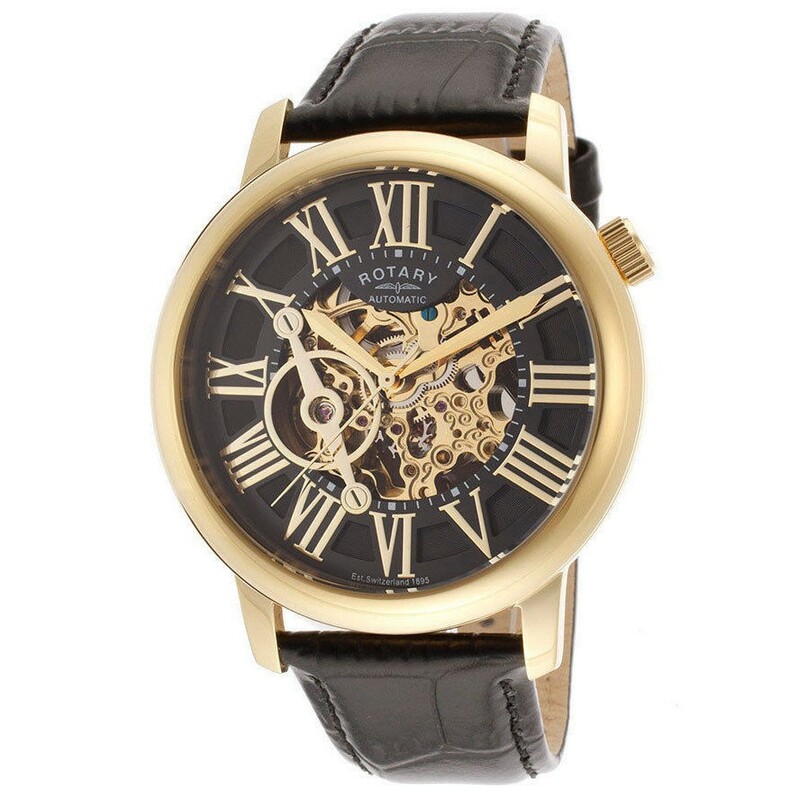 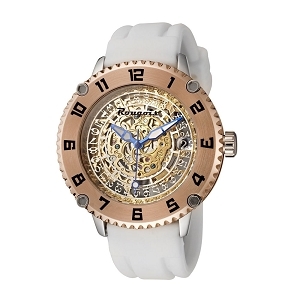 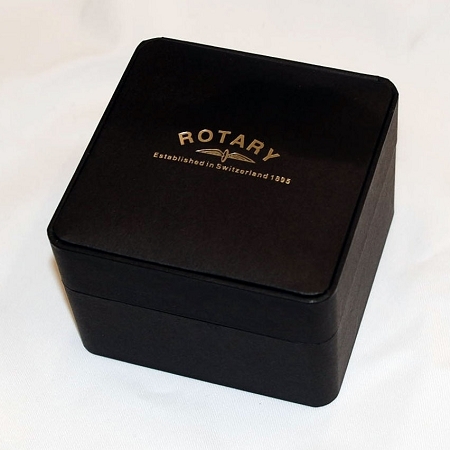 Rotary men's automatic skeleton dial watch GLE000016-10. 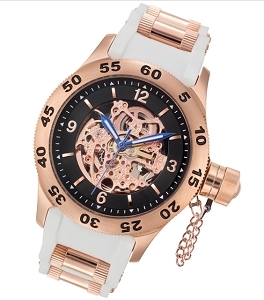 Features gold tone hour, minute and second hand. 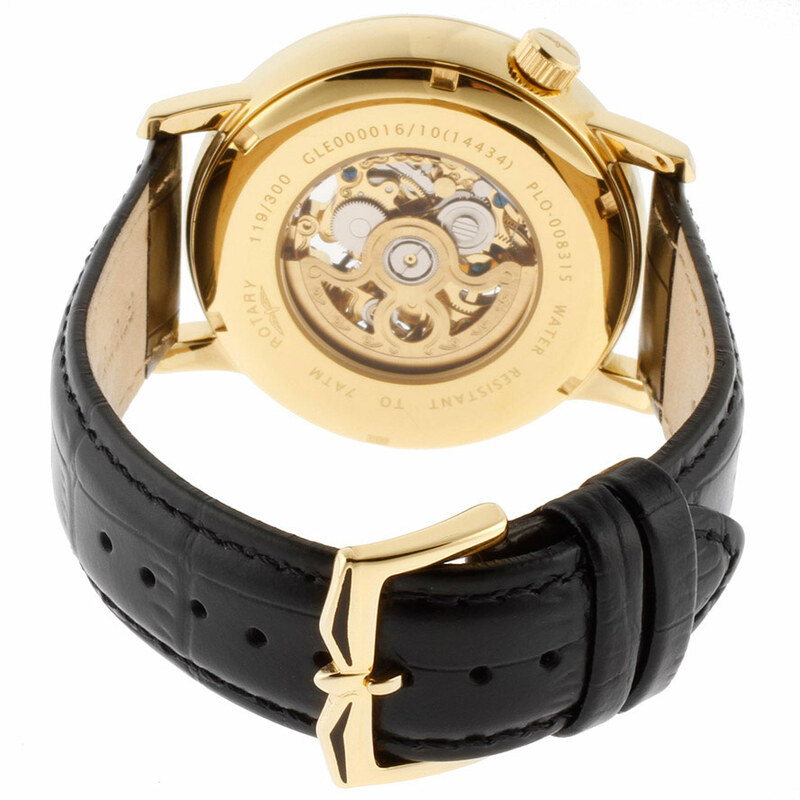 Gold tone Roman numerals, black and gold tone skeleton dial and screw down ion-plated stainless steel exhibition back.